Full Name: Jack Ryan, jr.
Jack Ryan, jr. is an agent with The Campus. Ryan is the second child of Jack Ryan and Cathy Ryan, one of four children. As his father rose in rank with the CIA, Jack jr. enjoyed a normal middle-class upbringing, eventually going to St. Matthews Academy and later Georgetown University as his father had. He majored in History and had an eye towards teaching but situations later would change that path. When his father became President, he tried to remain as far from the limelight as possible though he was forced on occassion to mingle with head of state and other major dignitaries. When terrorist activities became such a constant threat, Jack decided his life of safe academia was not the way he should go. He wanted to use is extremely intuitive mind in the fight against the enemies of his country and he chose to approach The Campus for that opportunity. Initially he intended to work as an analyst, much as his father had in his earlier days in the Agency. Events taking place during his first major assignment, though, put him squarely in the action and his role had to change to survive. The Campus for which Jack works is officially known as Hendley Associates, a "financial trading company" as far as the majority of the world knows. In fact it is a secret anti-terrorist organization which President Ryan established during his closing days in office. Under the direction of former senator Gerry Hendley, the Campus lies roughly between the workings of the CIA and those of its sister organization, the NSA. 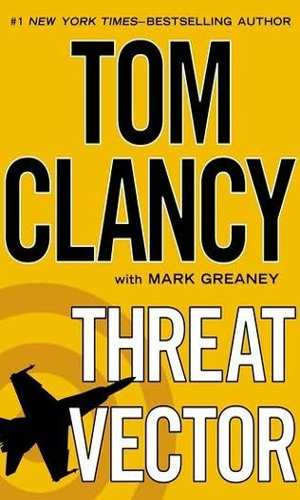 It is totally off the books and pays its expenses through "stock market trades influenced by the captured intelligence data" (according to Tom Clancy's wiki). Working with Jack at the Campus are his twin cousins, Brian and Dominic Caurso. They were the two who, seeing that Jack was no more likely to stay out of the action than his father had been years before, took it upon themselves to help train Jack in fighting both hand-to-hand and with weapons. Brian was a former Special Forces soldier while Dominic had been a highly experienced FBI agent before they both joined the Campus. Also employed by this mysterious unofficial intelligence group are John Clark and Domingo Chavez. 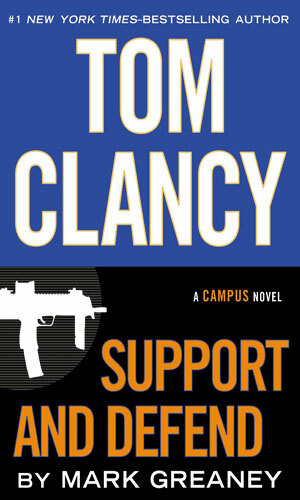 Clark's decades of work as a covert CIA operative, often with or against Jack sr., and his time with Chavez as part of Rainbow Six, provides the Campus with the benifits of a lot of learning the hard way. 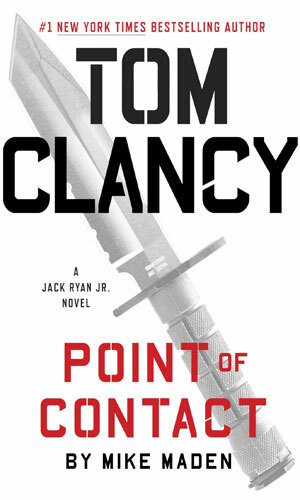 The books that make up the Jack Ryan, jr. series are a continuation of the Jack Ryan series but they deserve their own distinction because the emphasis of the storylines are on the son, not the father. Since the father plays a role, though, the books also fall into his listing as well. 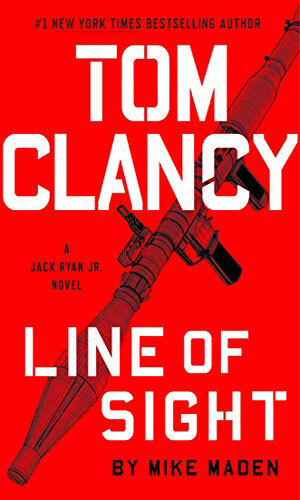 The publishing world refers to a series of books started by Tom Clancy as the Jack Ryan Universe. 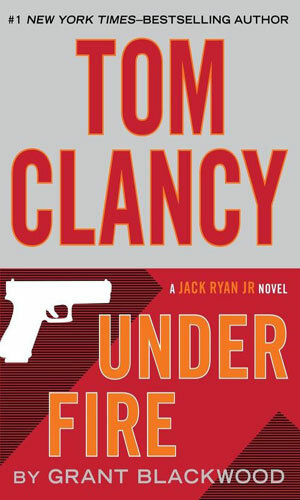 Understandably books dealing with his son, Jack Ryan jr., would belong. When listing the Ryan jr books separately, it can get a tad confusing especially when a couple of the books have both characters. And then there is John Clark, a character who floats easily in both. The Campus is an ultra-secret branch of the Intelligence community set up to deal harshly with terrorist organizations. To this group looking for work is a young Jack Ryan, jr, son of the President. The Emir is a killer who has taken great delight in spearheading several deadly attacks against the US and its allies. The Campus has decided it is time to take this man and his team down. 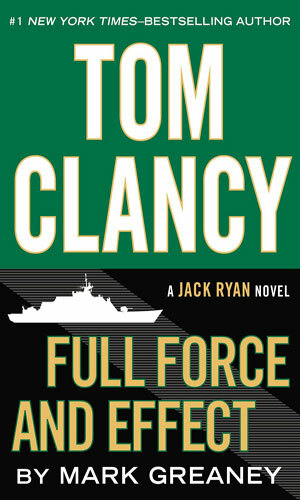 As Jack Ryan decides to come out of retirement to run again for President, his son Jack jr is in serious training with Special Forces to move from analyst for the Campus to being a field operative. Plaguing both is a plot by a rival of the senior Ryan who is using old evidence against their mutual friend, John Clark. As China expands its dominance on Southeast Asia, it is looking to retake Taiwan. Newly re-elected President Ryan must deal with the political aspects while his son, Jack jr, and the Campus are fighting Chinese attacks against America's infrastructure. A mid-level analyst for the NSC is on the run with a large amount of classified documents. The CIA wants to nab him but so do the Russians and agents from other nations. Dominic Caruso of the Campus is his only chance for living. Jack Ryan, jr.'s oldest friend, Seth, meets him for lunch in Tehran. The next day he goes missing and evidence points to his have turned traitor. Ryan is determined to find the truth. 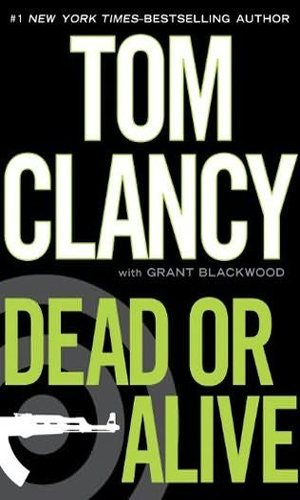 "Even though he’s on forced leave from the clandestine intelligence group known as The Campus, Jack Ryan, Jr., still finds himself caught in the crosshairs after an attempt on his life is thwarted when he turns the tables on his would-be dispatcher. Convinced that the attack is linked to his recent covert actions with the convalescing Iranian national Ysabel Kashini, Jack sets out to find out who wants him dead, and why." A former US Senator and now a major defense contractor is concerned about a company called Dalfan Technologies and asks an old friend for help investigating it. That friend is a major player in The Campus and he chooses Jack Ryan, jr. as one of the two analysts to do the research. This snooping will cause a fair amount of excitement and danger. Nearly three decades ago, Cathy Ryan operated on and restored the sight of a young Bosnian girl. Now she asks her son, Jack Ryan jr., to find her and deliver a letter to her. What he finds stuns both him and his mother. 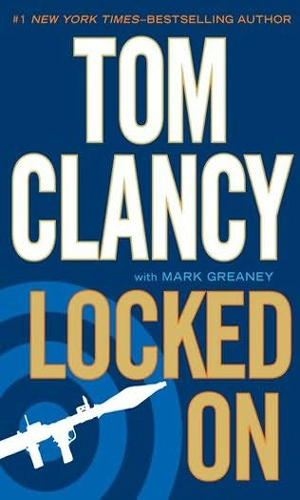 The creator of the Jack Ryan, jr. series is Tom Clancy and certainly the background storyline was established by him through the many excellent and exciting books in the Jack Ryan series. 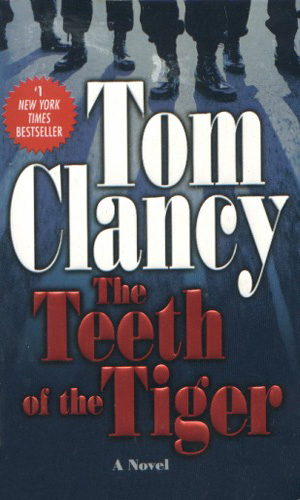 Whether Mr. Clancy did the writing of the book that I chose to make the first in this collection, The Teeth of the Tiger is not known for sure as it is widely speculated to have been ghostwritten. The later books, however, were decidedly not written by the talented Mr. Clancy but by other authors. This is important to note because the two authors that have thus far penned the successive adventures are authors who have already paid their dues with their own works and have clearly shown that they have the 'chops' to step into the limelight with their more famous colleague. I have mixed emotions about this. I am very pleased that incredible talents such as Grant Blackwood and Mark Greaney have been chosen to write these new adventures sure to sell well because of Mr. Clancy's reputation. This means that the books will be (and are) well worth the time to read and enjoy. I am saddened that they are spending their time writing books for series other than their own. I am greedy. 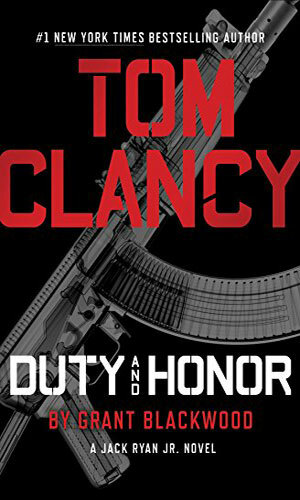 The phenonmenal success of Tom Clancy has brought out a lot of backlash from a wide variety of directions but I belong to the camp that says that man can tell a heck of a story and whether he is penning them or just guiding them, it makes no difference to me. He is smart enough to choose excellent writers to put the words down and I believe that between his talents and theirs, the books are well worth the price of admission.